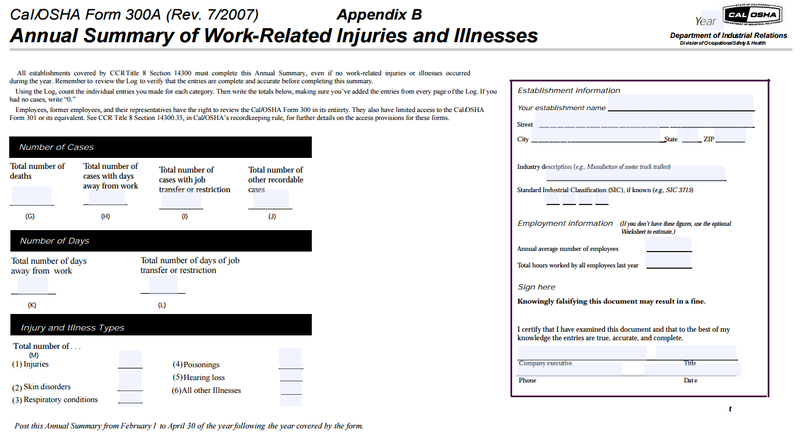 Posting of the Cal/OSHA 300A Summary, which lists the total number of job-related illnesses and injuries that occurred during 2018, must be posted from February 1st – April 30th, 2019. The Form 300A Summary must be signed by a company executive and should be displayed in a common area where notices to employees are usually posted. Please visit our website for Recordkeeping Forms or contact our office. This entry was posted in NEWS & ISSUES on January 31, 2019 by ccgga.